The Xi'an Railway Station is the fourth largest railway station in China considering its passenger flow volume. It is the important transportation hub that connects the Northwest and Southwest of China. From there one can reach to all the major cities in China, such as Beijing, Shanghai, Guangzhou, and Hangzhou. Xi'an North Railway Station is one of the largest stations in Asia. It provides high-speed rail service only. 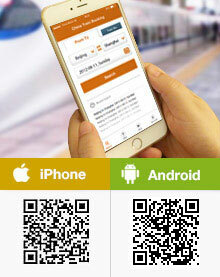 Passengers from the station can reach to Shanghai, Guangzhou, Zhengzhou, Nanjing and other places. Xi'an South Railway Station, located in the suburban area, mainly operates normal trains to/from Ankang, Dazhou, Chongqing, Taiyuan, Pingyao, Weinan, Huashan, and Lingshi etc. How much could it cost for a family of 3 from Xi'an to Luoyang? We will be traveling with our 10 year'd old boy and I prefer second class seat. For second class seat, the ticket price is CNY174.5 per ticket. If the child is under 120cm, he can board for free by sharing the seat with you. If the height is under 150cm, the child can buy a child ticket with 50% off. If over 150cm, the child would need to buy adult ticket too. If you book the tickets with us, we will also charge a ticket booking service fee CNY36/USD5.49 per ticket. Hope for your advanced notice. Thank you. business class is the best seat can be offered on all high speed rides. There are 3 seats in each row, the seat is very comfortable and passengers can lie down on it. First class seat has 4 seats in each row, seat still comfortable, passengers cannot lie down. It is just seat. Second class seat is the most economical class but still acceptable by most passengers. There are 5 seats in each row, like economy class on flight. I would like to go from xian to shanghai. What station of shanghai i will be departure? Pls inform. Thanks alot..
Can I buy a subway card at Beijing West station? I will move from Xi'an to Beijing by high speed train and stay at Beijing for 3 days. Can I buy a subway card at Beijing West when I arrive then? And what kind of card that you suggest to buy? Thanks. What happen to overnight train schedule to Zhangye and Dunhuang? It doesn't have the time schedule sine 12 Oct 2017. Please answer. They are under adjustment by the railway authority now thus not available now. It is still not clear yet when will this adjustment finished.